← No Collar Can Hold the Amazing Musico! 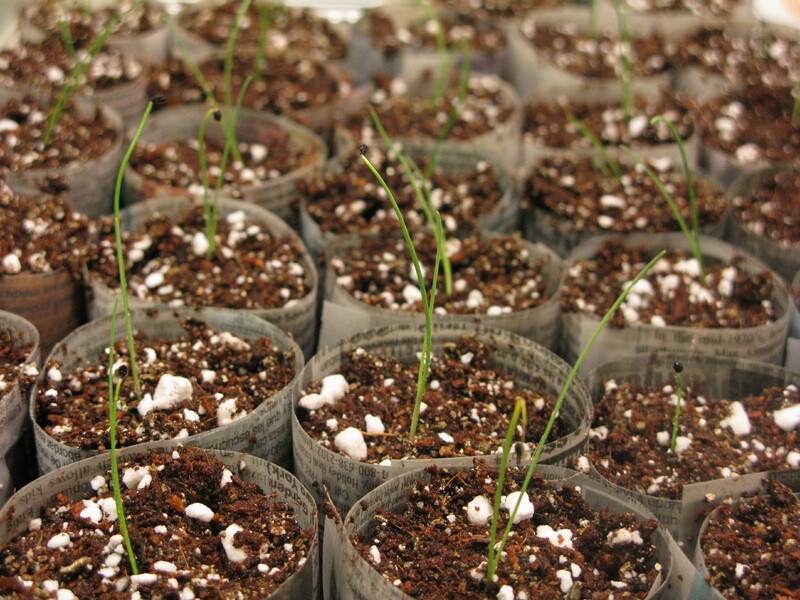 My leek seedlings are coming along nicely, I’ve transplanted them into their own little paper pots to give them more room to grow. Between the expense of buying new seedling pots each year and the appeal of just not consuming so much, I’ve been making my own seedling pots with the very handy PotMaker. It does require that you have newspapers on hand, and since our household has gone almost completely digital with our news, I pick up a handful of the free Manhattan News from the corner. 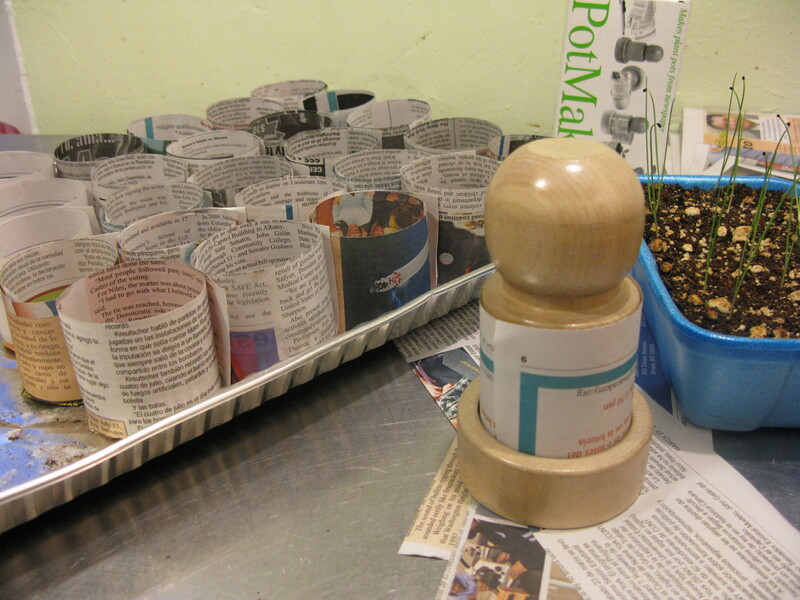 I have to cut down the paper into strips, but as I assemble each one, I catch up on local news, brush up on my little Spanish and then have the satisfaction of creating neat little pots for each seedling. The newspaper pots can go directly into the ground and breaks down into the soil, so waste is minimal. I love repotting seedlings, it’s so satisfying to give each seedling its own space to grow. 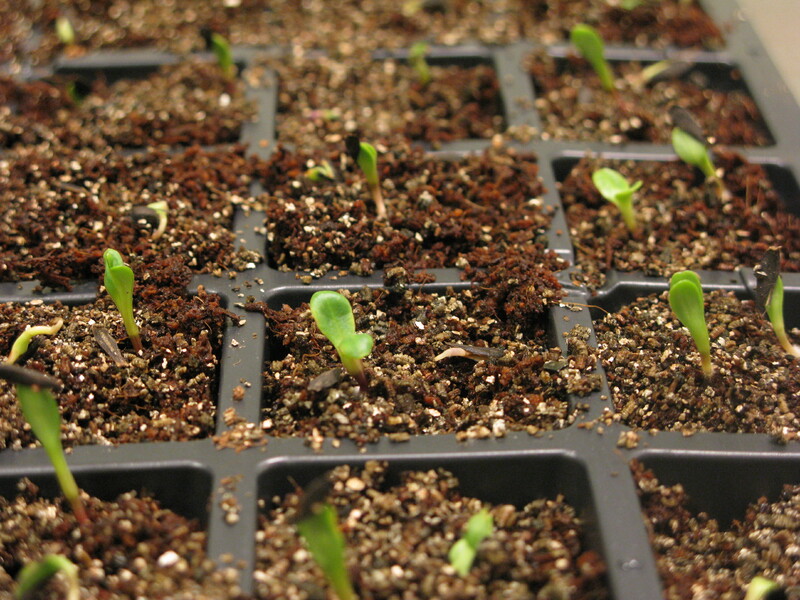 We do have other seedlings starting in our little apartment nursery. Last year I had great luck with dahlias, but terrible luck in storing their tubers over the winter. So, I’ve started a new round of dahlia plants. I’ve also started various other flower seedlings and this week I’m planning on starting my tomatoes. In addition, my garlic bulbs and potato tubers should be arriving soon.